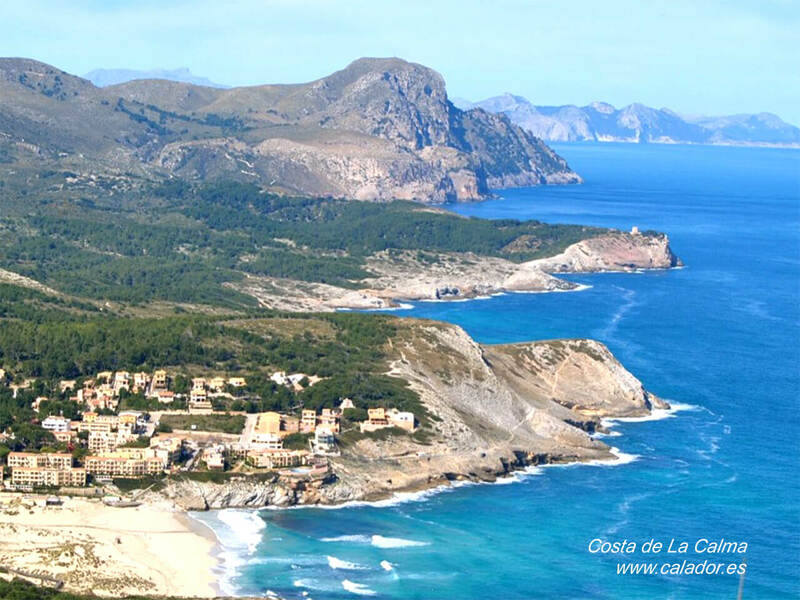 Costa de la Calma is a residential area located in the municipality of Calviá, that extends between Santa Ponça and Peguera. It has easy access from the Palma motorway direction Andraitx. Set away from the massive tourism even though it close by to the well known area of Santa Ponça, it is a perfect place to enjoy the spectacular bay and watch the wonderful sunsets. 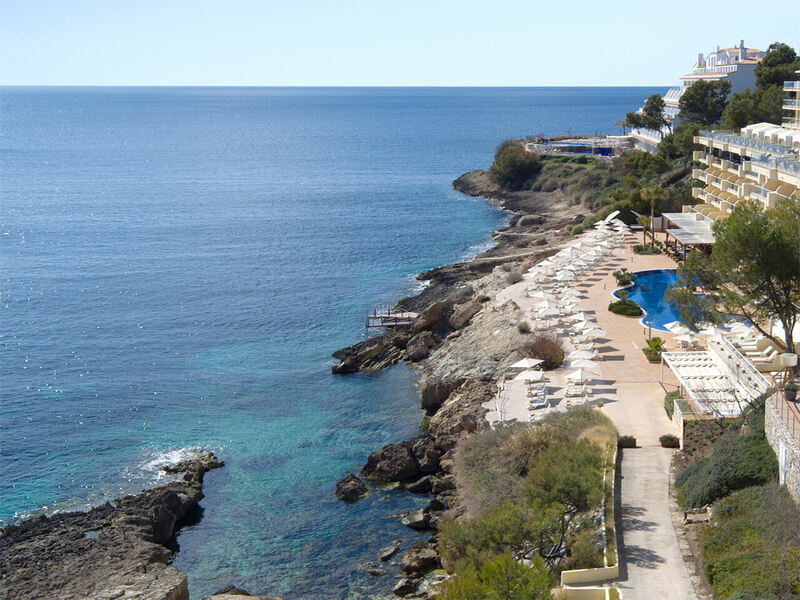 Costa de la Calma is still a place for those looking for peace and quiet and relaxing on the Mediterranean coastline. 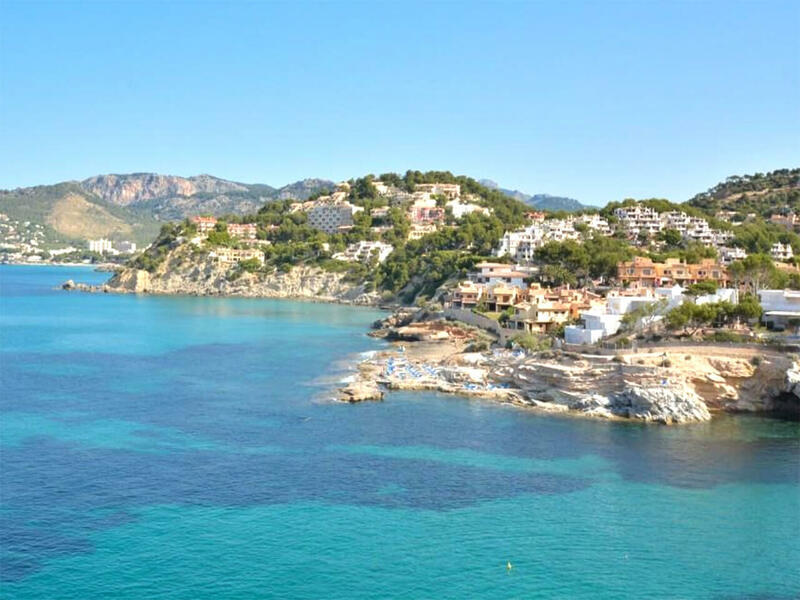 The beach of Cala Blanca is a beautiful bay with a small Sandy area and is known for its craggy coastline and little bays. It is an area with crystal clear water and few people. 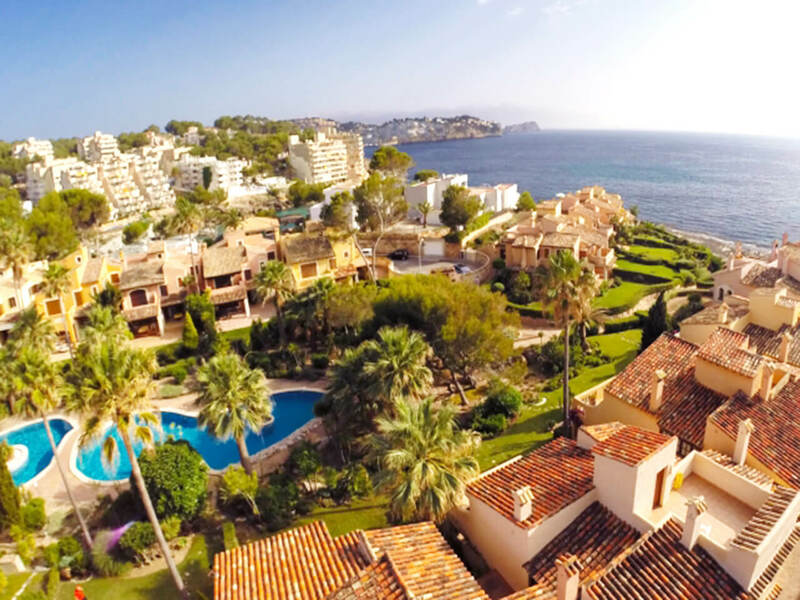 It is located at 2kms from Camp de Mar, between Sa Punta des Bancals and Cala en Cranc. It is surrounded with rough country and pines. The Chiringuito of Cost de la Calama has a large flat rocky area for sunbathing. There are two stairs into the sea and trampolines on the highest points. In front of the chiringuito there are sunbeds and sunshades so as to spend a comfortable day. It is open from 11:00hrs to 02:00hrs during the summer. The Golf club is located at 5kms from Santa Ponça and was inaugurated in 1977 being the first golf club in the area of Calvía and the second in Mallorca. Found in a beautiful location with views to the Puig de Galatzó and measures 6,543 meteres with 18 holes and a par of 72. Hole 10 has a par of 5 and is one of the longest in Europe with 590meters. Peguera- also known as Paguera- is a tourist resort found at approx. 6kms to the North of Santa Ponça and close to Camp de Mar. It has three beaches: Peguera Romana, Torá and Palmira de Peguera. This small town has become one of the favourites for many European nationanilites, most especially the German, although many British also go there. The Playa la Romana/o, also know as the bays of Hapimag is a perfect place for roaming between the mountains, pines and the sea. It is chosen by all sorts of people that enjoy walking and enjoying the surroundings. Platja de Torá or Peguera Torá takes its name from “Peguera” from the oven used to extract the resin from the pines and Torá comes from Hebrew Torah, meaning law and it comes from the old mansion and land that now is home to the apartments and hotels that surround the beach. The Torrent o Riuetó of Sa Coma opens to the sea at this point. The beach of Palmira de Peguera is an excellent sandy beach of 500meters in length and about 40meters in width and is surrounded by a wonderful walkway with bars and cafeterias. Most streets in Peguera lead to this beach.